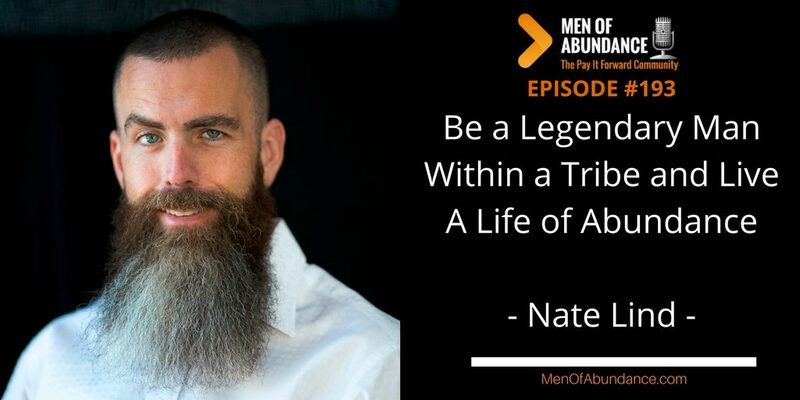 Be a Legendary Man Within a Tribe and Live A Life of Abundance! Legends are not born, they are created. And being a legendary man is not a destination, it’s a journey. When men are members of strong tribes, their lives have meaning and they become Legends. Nate Lind is a builder of a tribe of Legendary Men or purpose and Abundance. Nate Lind, the youngest of six kids is an American entrepreneur, explorer and artist. Born in Kansas, Lind spent his first few years running wild in the forests and fields behind the house his grandfather built before the family relocated to Virginia, where he lived until he was eight. It was during the third move of his life where the seeds of Lind’s biggest triumph to date were planted. The seeds that would grow to become Legendary Man, and his consumer brands which are among the largest men’s grooming and lifestyle brands in the world. The Lind family arrived in Missouri and the type of friendships Nate had formed back in Virginia were nowhere to be found. It was that essential brotherhood kids rely on to help form their sense of self that was missing; a brotherhood that helps a child build his own unique masculinity and self-confidence. During this time his parents fell on hard economic times. That economic hardship later encouraged Lind’s deep motivation to not just survive but to thrive. So when the family moved back to Kansas and resettled in his granddad’s home, he was bound and determined to find friends he could relate to and he created friendships that have evolved into life-long bonds. Upon graduating high school, he pursued an education in media arts in Denver. There he developed skills in web design and video that he would utilize in his business ventures later. His first taste of financial success came in his early twenties when he became proficient in the art of buying and flipping houses. When he saw the impending housing crash coming in 2007, he transitioned from flipper to Fortune 100 consultant. Lind led projects at the world’s largest financial institutions like Fannie Mae and Freddie Mac. By 2011 he was recruited to Bank of America as a Vice President. Though he’d tasted wealth and married, he found a deep sense of emptiness in his own purpose outside of family. As he began looking for opportunities to fill that emptiness he discovered men’s grooming products such as beard oil and a unique brotherhood like none other. Lind introduced his first proprietary beard oil product and watched every aspect of his life start to improve. 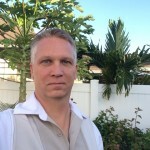 During this time, he found himself at the center of a group of online entrepreneurs. So, in keeping with the community building spirit that has been part of his life from early on, he launched a conference of like-minded entrepreneurs. The launch was such a huge success, his show, ADSUM, is held every year in December in Aspen Colorado. No legend has ever been a man of inaction. Legends are those who have taken massive action throughout their lives. You may not strive to be a legend for the world to remember. But I would hope you at least want your family to look up to you and admire your actions as the legend within your family and community.